CYLO 3 IN 1 SURFACE LED FITTING is suitable for various indoor applications. - LED driver from 9W, 12W, 24W, 36W, 48W, 72W. - Universal input from 90V AC to 245V AC. We are prominent manufacturer and supplier of In Ground LED Lamp Fitting ( IL-4505 ). 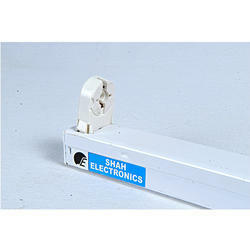 These are fabricated using high grade raw material that helps to firmly hold the lighting object. Our ranges of products are appreciated for its features like compact design, safe usage, durable finishing and low power consumption features.